This book was chosen by the Children’s Book Council as a best STEM book of 2017! In 1946, six brilliant young women programmed the first all-electronic, programmable computer, the ENIAC, part of a secret World War II project. They learned to program without any programming languages or tools, and by the time they were finished, the ENIAC could run a complicated calculus equation in seconds. But when the ENIAC was presented to the press and public, the women were never introduced or given credit for their work. 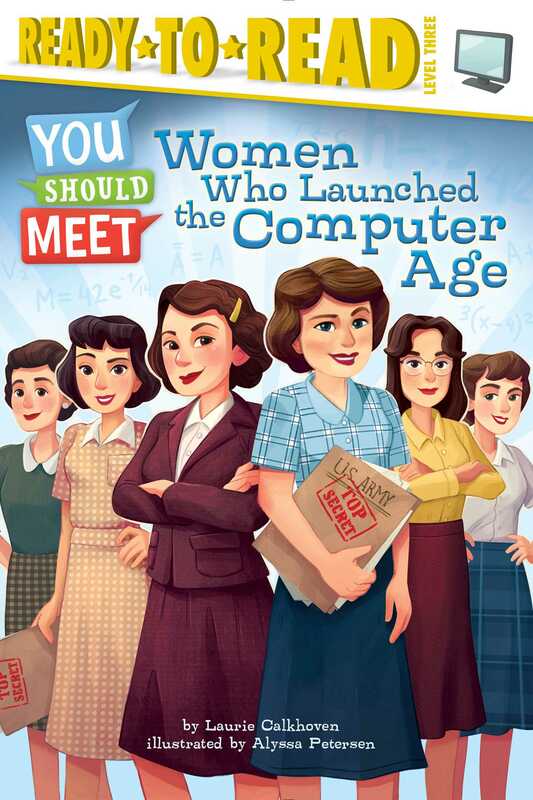 Learn all about what they did and how their invention still matters today in this story of six amazing young women everyone should meet! A special section at the back of the book includes extras on subjects like history and math, plus interesting trivia facts about how computers have changed over time. With the You Should Meet series, learning about historical figures has never been so much fun! Alyssa Petersen was born and raised in Southern California, spending many happy days at the beach and Disneyland. She always knew that she wanted to be an artist, but it was in her teenage years that she discovered the world of Concept Art and Visual Development, and she knew that was exactly what she wanted to do. Alyssa attended Brigham Young University and received a BFA in Animation, and took a handful of illustration classes. Alyssa currently works as a concept artist for Disney Interactive, where she has worked on Disney Infinity 2.0 & 3.0. Although she and her husband move often, they currently reside in California.